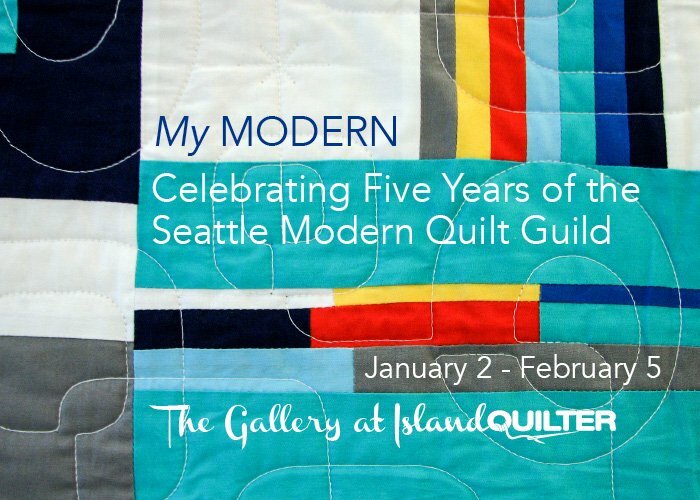 "The Seattle Modern Quilt Guild was formed in 2010 with the goal of exploring and promoting the modern quilt aesthetic. Modern quilts feature bold colors and prints, high contrast and graphic areas of solid color, improvisational piecing, minimalism, expansive negative space, and alternate grids. 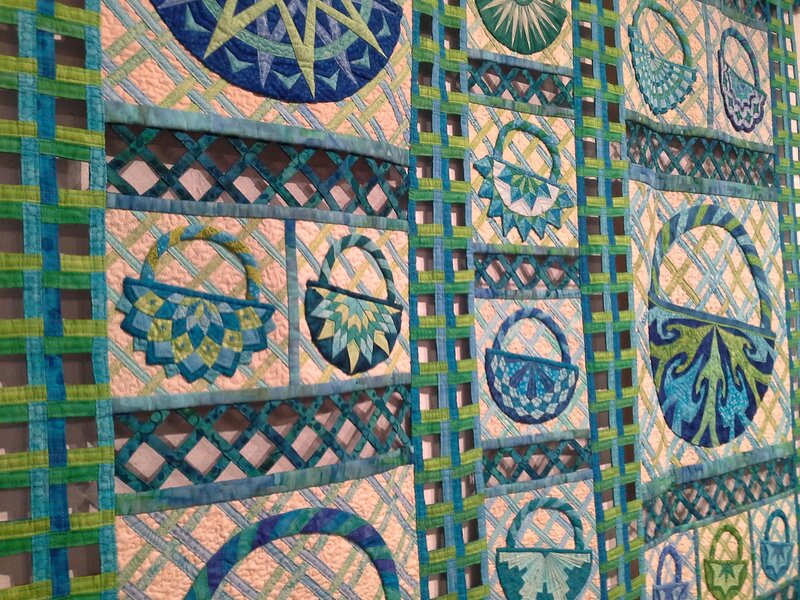 Modern traditionalism, or the updating of classic designs, is also seen in modern quilting. As will all modern art, definitions are often debated and discussed. Come see what modern means to us." 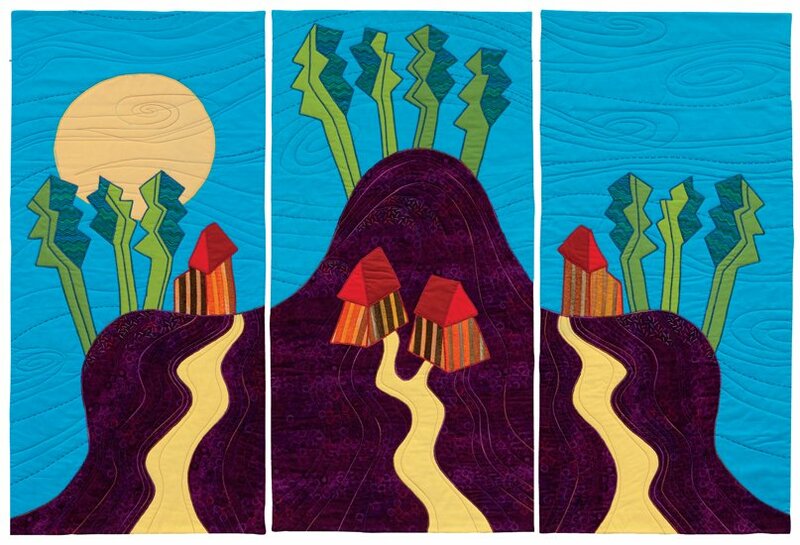 This exhibit features the creative enchanting three-panel quilts designed with grand results using Rose Hughes's fun, easy Fast-Piece Applique method. 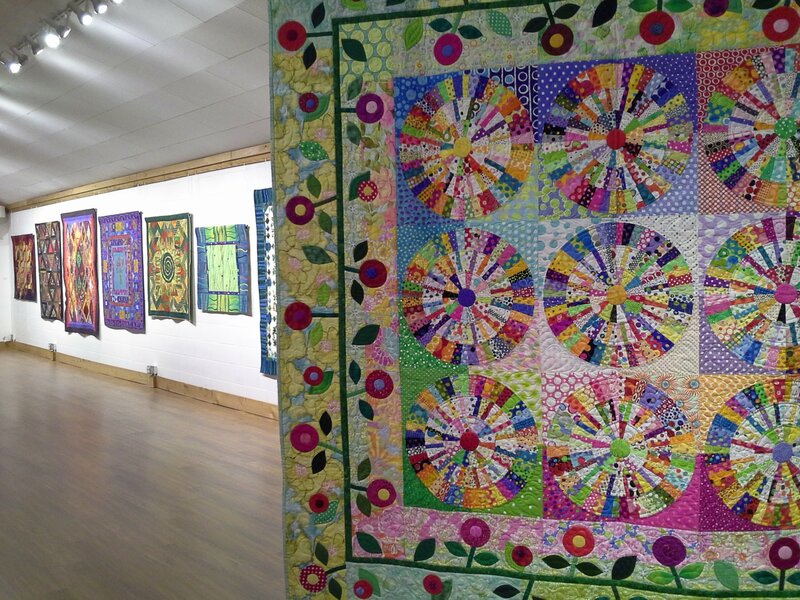 The fourth edition of our popular exhibit by male quilters! April 3 to April 29th, 2015.